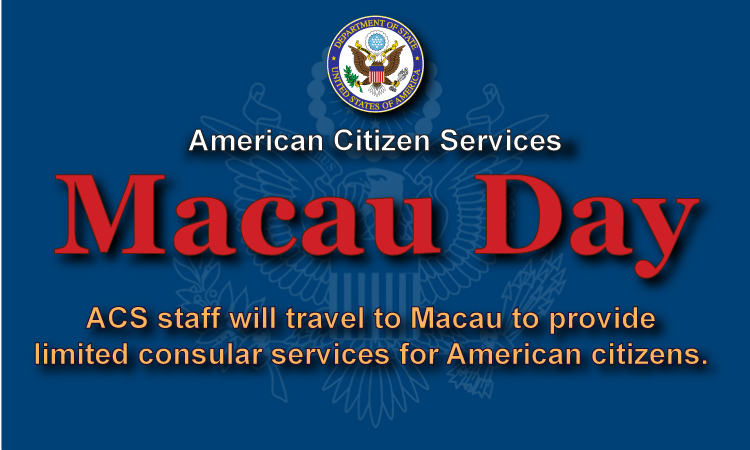 Any death of a U.S. citizen in Hong Kong or Macao should be reported immediately to the police and to the Consulate. Deaths of U.S. military members or other DOD personnel should be reported to the appropriate branch of service, not to the Consulate. During working hours call the American Citizen Services Unit at 2841-2211. The country code for Hong Kong is 852 if you are calling from overseas. After hours, call the Consulate duty officer at 2523-9011. When reporting a death, if possible, please tell us the deceased person’s name, date and place of birth, passport number, date and place of death, cause of death, and the location of the remains. We also need the full name and phone number of the next of kin if available. Be sure to give your own name and contact information, especially a phone number so we can contact you if we need additional information. In cases where we learn of the death of an American, as quickly as possible we seek to determine who is the Next of Kin of the deceased and contact that person by telephone immediately. In some situations, however, it may not be possible to immediately determine who is the Next of Kin; for example, if someone passes away in a car accident and no ID is found. In situations such as that, we will work with local authorities, the Department of State’s Passport Office and any other resources available to locate and contact the Next of Kin. We seek to carry out the wishes of the Next of Kin. Generally the Next of Kin is held to be the spouse, the adult children, the parent(s) or the siblings of the deceased. You must complete an Affidavit for the Surviving Spouse or Next of Kin (PDF 62 KB) form, have it notarized, and then send it to us by both fax and mail. Our fax number is +852-2845-4845. Our mailing address is ACS Section, American Consulate Hong Kong, 26 Garden Road, Hong Kong. Please send the fax immediately; the letter can follow later. This affidavit is for our use in identifying the Next of Kin so we may assist with the disposition of remains and provisional disposition of effects. This affidavit does not serve in place of decisions made by a Will, Probate and/or litigation in determining the final disposition of the deceased’s effects, possessions and/or funds. There is no local law providing that remains must be interred within a certain amount of time. However, prudence dictates that the disposition of remains be completed as quickly as possible. The following paragraphs explain the options you have for making your decisions. Costs for all options will vary depending on from where the remains must be transported and the type of casket desired. The exchange rate of the U.S. Dollar and the Hong Kong dollar may affect these costs. Please note that all costs listed here are estimates, and are subject to change. Costs from Macau will also vary. Cremation and disposition of the ashes in Hong Kong is approximately US$1,500. Preparation and burial in Hong Kong is approximately US$3,700. Cremation in Hong Kong and air shipment of the ashes to the U.S. is approximately US$4,100. Embalming in Hong Kong and air shipment of the prepared remains to the U.S. is approximately US$8,900. Funeral homes are unable to begin work until they have payment in hand. Preparation and air shipment are carried out in accordance with the laws of and facilities available and, in some cases, may fall short of those expected in the U.S. We recommend that you ask your home town funeral director to determine the advisability of viewing the remains. Your loved one’s embalmed remains will need to be received in the U.S. by a licensed funeral home or someone else licensed to handle human remains. You will need to make arrangements for receipt with your home town funeral director. Once the Next of Kin have made a decision, you must send us a Letter of Instruction (PDF 80 KB). To ensure that your wishes are carried out completely, please send your instructions regarding the disposition of your loved one’s remains and personal effects by both fax and mail to the American Consulate Hong Kong. Using the form above, your instructions should include your loved one’s full name, telephone numbers where you may be reached and, if shipment of remains is desired, the name, address, and full telephone number and fax number of the U.S. funeral home or other consignee you have selected to handle arrangements. 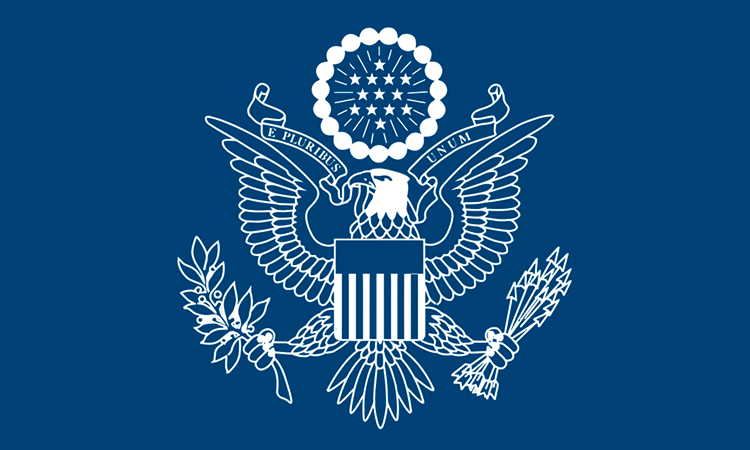 Following a report of the death of an American Citizen, the police or ambulance service will transport the remains to a public mortuary facility where formal identification of the remains must be made by the police, the Next of Kin if available, other informed parties or the Consulate based on passport records. In almost all cases, a formal autopsy will be done under local law. The complexity of the cause of death and availability of staff can affect how long this procedure takes, but 3-4 working days is usually the minimum time required. More time may be needed in criminal death cases. Once the Next of Kin has made arrangements, the remains will be transferred to the mortuary service chosen by the Next of Kin. The funeral home will embalm the remains for shipping, which takes about one week, or will make arrangements for cremation, which takes about two weeks due to limited facilities available locally. The funeral home will arrange for shipment of the remains to the U.S. or local disposition. Website (in Cantonese): Universal Funeral Parlour Co., Ltd. Many factors can affect how much time will be needed to prepare your loved one’s remains for return to the United States. Because of these many variables, it is best not to make unchangeable plans for ceremonies and the like until we and the funeral home you are working with can provide a firm timetable. Here are some estimates of the time various steps of the process may take. The required identification and autopsy procedures in Hong Kong can take several working days to complete. You can read more about Hong Kong government procedures online. Embalming or cremation may take one to two weeks depending on the location of the remains and the schedule of the mortuary company. The paper work necessary from the Consulate to ship remains can typically be issued within one business day once we have the proper documentation from the local authorities. Shipping to the U.S. must be arranged. In some cases, no space may be available on outgoing flights for embalmed remains, introducing delays. Embalmed remains must be turned over to a licensed mortician at the airport in the U.S. If your hometown mortician is unable to meet a flight, the shipment must be delayed so that it arrives in the U.S. at a time when your hometown mortician can meet the incoming flight. Thus, following the death of an American in the Hong Kong area, it may be several weeks before the remains can be returned to the United States. Please also see The Report of Death, below, regarding the time needed for a final Report of Death and “Personal Effects of the Deceased” (see below) regarding the time needed to ship personal effects. Local funeral homes or mortuary services cannot begin preparation of remains until the proper funds have been deposited. Therefore, it is imperative that the necessary funds and instructions are provided as soon as possible after a death occurs. Any unused funds will be returned after all bills have been paid. The fastest method of transmission of funds is via a direct transfer to the funeral home. When costs are to be borne by relatives or friends in the United States, the quickest means of transmission is to make an arrangement directly with the mortuary service to transfer funds electronically. Contact the service you choose directly for details. If that is not possible, you can send funds to the Office of Overseas Citizens Services, Department of State, Washington, D.C. for forwarding to the Consulate in Hong Kong, and later to the funeral home in Hong Kong. To send funds via the Department of State, please call 202-647-5225 during the hours 8:45 a.m. to 9:00 p.m. (EST) Monday through Friday. At all other times call 202-647-4000. You must also transmit a message indicating your name, address and telephone number, as well as the name of the deceased, and indicate the funds are to be transmitted to the American Consulate Hong Kong. A separate telegram should be sent to the Department of State conveying the instructions for the disposition of the remains. This telegram must include the complete name and address of the U.S. funeral director if shipment to the U.S. is desired. This service is provided by Western Union, who will charge a fee. More details are available at Sending Money to Destitute U.S. Citizens Overseas. The Consulate prepares a Report of Death of an American Citizen Abroad for every civilian American who dies in Hong Kong. This certificate is based on the local death certificate and is valid for use in the United States. Some U.S. insurance companies, other agencies, and courts in the U.S. request information on our legal authority to issue such reports. That authority is contained in 22 U.S. Code 4196; 22 Code of Federal Regulations 72.1. The final Report of Death can only be issued after local authorities complete their documentation of the death, which can take several months. 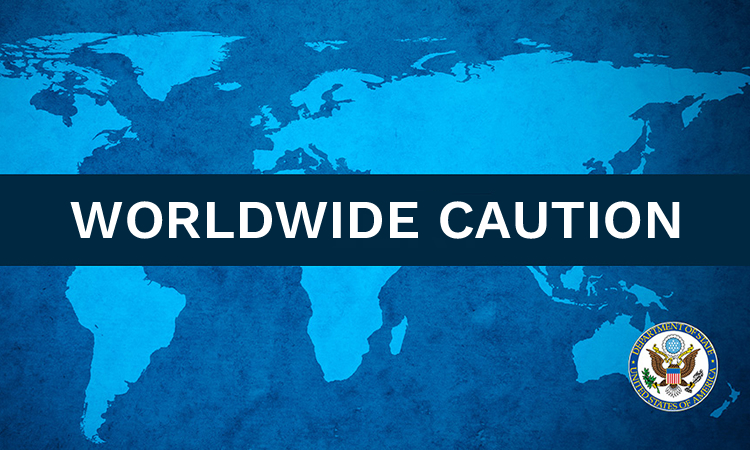 While we can often issue a preliminary Report of Death that may assist in settling affairs in the U.S., we cannot issue the final report until the local authorities have issued their documentation. Once the authorities complete their work, our Report can usually be issued within a day or so. Certified copies will be sent to the Next of Kin and the original will be sent to the Department of State for permanent filing. You can read more about Hong Kong government death certification procedures online. A “Report of Death of an American Citizen Abroad,” issued at the time of death, will be provided to the Next of Kin free of charge. If in the future you find you need additional copies, they can be obtained from the Department of State. Please refer to Request a Copy of a Consular Report of Death Abroad (CRDA) for more information. If the deceased has no Next of Kin or designated representatives (e.g., executor of the will, business partner), the Consulate is responsible for collecting and safekeeping the personal effects of the deceased. Unless the legal Next of Kin is in Hong Kong or another person is chosen as provisional custodian, the Consulate acts on behalf of the executor as the provisional custodian of the estate of any civilian American. In many cases, we will receive the effects from the police and work with you to send the effects home. All shipping and packing costs must be borne by the Next of Kin; the Consulate cannot pay to ship the effects home. However, in instances when no family members are present in Hong Kong and the value of the effects exceeds HK$5000 (about US$650), Hong Kong law may require that the effects be sent to probate. The probate process is complicated and time consuming. This is a function of local law beyond our control, and delays in receiving the effects of several months are not uncommon. Some families have succeeded in simplifying the process by hiring a local attorney to represent their interests. A list of attorneys is available at Legal Services Providers in Hong Kong and Macau.